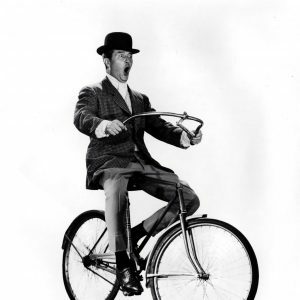 Ray Milland rides a bike, handlebars free. Rosalind Russell and Ray Milland crash a bike. Ellen Drew rides a bike. Ray Milland lends a hand, and a smile.